The Grossmont-Cuyamaca Community College District Advancement and Communications Office took home gold, silver and bronze Medallion awards this past week from a national marketing organization for two-year colleges. · A Silver Medallion of Achievement in the Communication/Media Success Story category, an award the district shared with the California Community Colleges Chancellor’s Office, for a Grossmont College news conference in June announcing the launching of a new online tool, Salary Surfer. · A Bronze Medallion of Merit in the feature writing category for “A Garden for the Ages at Cuyamaca College,” which profiled the campus’ new intergenerational garden. 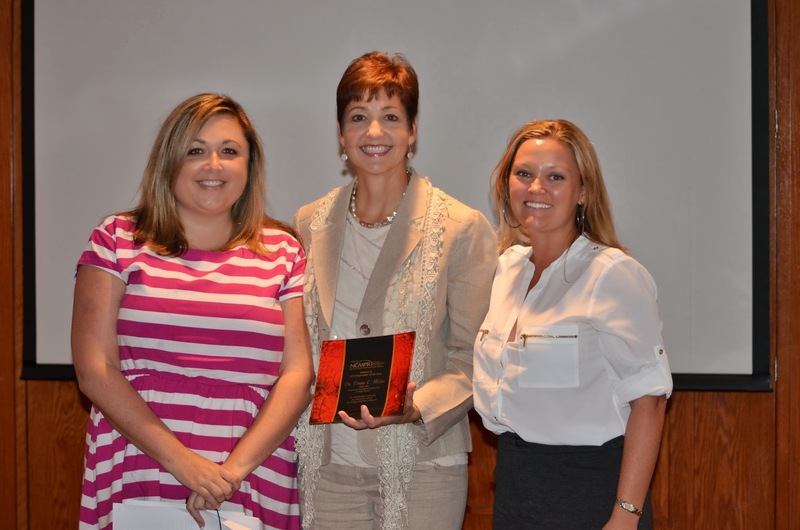 Also honored in Tempe was Chancellor Cindy L. Miles, the recipient of the 2013 NCMPR District 6 Pacesetter award for her leadership in communications and advancement of the East County college district. The Medallion competition represents the only regional contest of its kind that honors excellence exclusively among marketing and PR professionals at two-year colleges. The District 6 region covers California, Arizona, Utah, Nevada, Hawaii and the Pacific Islands. 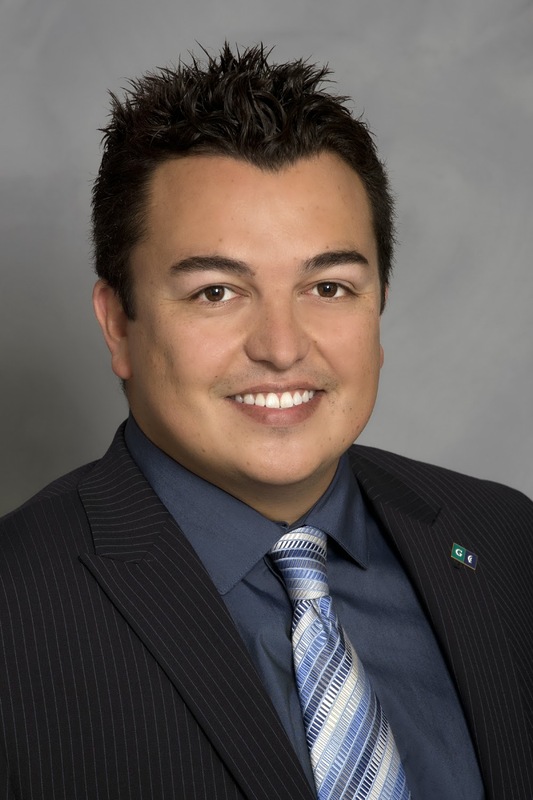 Santee native John Valencia, who’s returned to his East County roots to start a new, top-level job at the Grossmont-Cuyamaca Community College District, describes his post as fundamentally helping students. He chuckles over his lengthy job title: associate vice chancellor of Advancement and Communications and CEO of the Foundation for Grossmont & Cuyamaca Colleges. Quite a mouthful, he concedes, but bottom line, it’s all about aiding students acquire a college education – the brass ring of American success. As the district’s chief advancement officer, Valencia is charged with creating fundraising strategies for the foundation that was formed in 2011 as the philanthropic arm of the two colleges. He’s also responsible for overseeing the district’s Communications Office and the GCCCD auxiliary, which solicits and administers grants and contracts for the district. 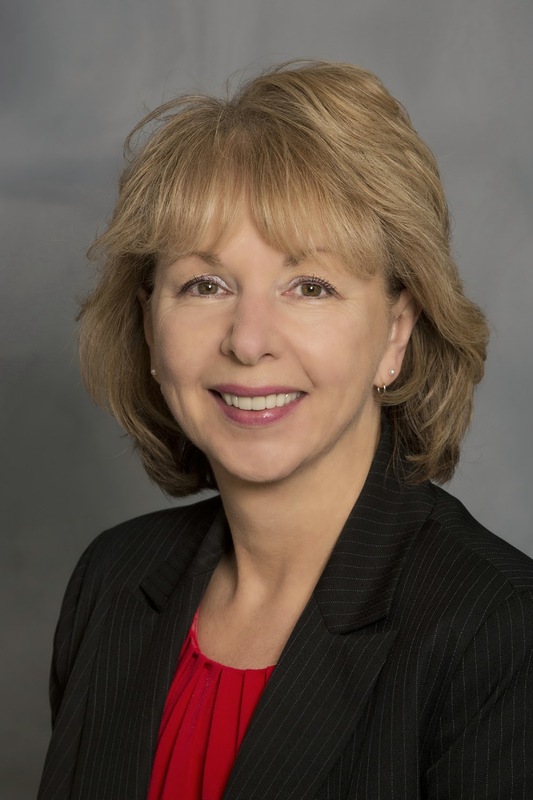 Cindy L. Miles, chancellor of the Grossmont-Cuyamaca Community College District, has been recognized by a national organization of community college marketing professionals for her leadership in communications and advancement of the East County college district. Miles accepted the Pacesetter award Sept. 26 from the National Council for Marketing & Public Relations at its regional conference in Tempe, Ariz. As the award winner for the region covering five western states and the Pacific islands, Miles will be one of seven area winners eligible for the national Pacesetter award when the marketing organization meets in March 2014. The award is the second honor this year for Miles, who has served as the district’s chancellor for 4 ½ years. Last month, Miles was selected as the top chief executive officer for two-year colleges in the nine-state Pacific region of the Association of Community College Trustees, an organization representing more than 1,200 community colleges nationwide. The national award recipient among the five regional winners will be announced Oct. 4 at the ACCT Leadership Congress in Seattle, Wash.
Marsha Edwards, a 22-year veteran in her field, has started her new post as vice chancellor for human resources for the Grossmont-Cuyamaca Community College District. Edwards, who was born in Oregon and spent much of her life there, said she was intrigued by the job posting for the top human resources job at the East County college district. “When I looked into the position, it seemed like a good fit with my background and experience and would allow me the opportunity to work with two great colleges in a great climate – decision made!” she said. Chancellor Cindy L. Miles said the district will benefit from Edwards’ experience and knowledge in labor law and personnel issues, as well as her skills in contract negotiations. What impels some people to call for certain books to be banned? What might the world have missed if other people had listened to them? In observance of National Banned Book Week, panelists will discuss these topics at 7 p.m. Thursday, Sept. 26, in Grossmont College’s Griffin Gate meeting room. The amazing thing about many of the people who want to ban a book is that they often haven’t actually read it, says English Prof. Joe Medina, who will moderate the panel discussion celebrating the constitutional guarantees of free speech and a free press. In the area of fantasy, student James Strand will tell of the efforts to ban Superman after the Man of Steel made his first appearance in a comic book in 1938. English instructor Linda Mitchell will discuss the current resistance to vampire literature, which has become increasingly popular. Cuyamaca College students with ambitions of well-paying jobs in the automotive service industry have reason to celebrate. Local General Motors and ACDelco service centers are once again partnering with Cuyamaca College to sponsor a highly-regarded training program that alternates classroom instruction on automotive repair with on-the-job training. The GM Automotive Service Education Program, or GM ASEP, had been offered at Cuyamaca for more than two decades, but it was suspended in 2009 when the recession forced scores of auto dealerships out of business. The economic uptick has allowed resumption of the program -- the only one of its kind offered in San Diego County -- that offers students two-year paid internships at service centers. In celebration of Constitution Week Sept. 17-23, both Grossmont and Cuyamaca colleges have set up events to commemorate this cornerstone document that is the foundation of America’s legal system. Cuyamaca College will celebrate Constitution Day Tuesday, Sept. 17, by welcoming federal Judge Louise DeCarl Adler, a U.S. bankruptcy court judge for the Southern District of California, from 11 a.m. to noon in Rooms 207-208 in the student center . Judge Adler will provide insight into the Bill of Rights and its effect on the public’s fundamental rights. Judge Adler, who has served on the bench since 1984, served as the first female president of the National Conference of Bankruptcy Judges from 1994-1995. Before being appointed to the bench, she was in private law practice in San Diego for 12 years, specializing in debtor and trustee representation and serving as a bankruptcy trustee for the Southern District from 1974-1979. A question and answer period will follow her presentation. · The San Diego chapter of the Sons of the American Revolution will be represented in period costumes from 11 a.m.-1 p.m. at the Griffin Center patio, where a voter registration drive and student government information booth will be set up. · Political science professor Joseph Braunwarth will give a lecture, “Constitution Day on the 50th Anniversary of the March on Washington,” from 11 a.m.-12:15 p.m. in Room 577 of Building 51. Cuyamaca College is at 900 Rancho San Diego Parkway in the community of Rancho San Diego. Grossmont College is at 8800 Grossmont College Drive in El Cajon. The $126 million 2013-2014 general budget approved Tuesday by the Governing Board of the Grossmont-Cuyamaca Community College District represents a far rosier budget picture than a year ago, but district officials are quick to point out that they are just beginning to restore course offerings and student enrollment losses resulting from four years of state funding cuts. The passage last November of Proposition 30, the voter-approved tax plan that fortified education, allowed Grossmont and Cuyamaca colleges to offer more class sections and increase student enrollment. However, the tax measure is a temporary fix, with a sales tax hike set to end in 2016 and an income tax on high earners scheduled to expire in 2018. With state funding still reduced from pre-recession levels, district officials are taking a cautious note with the improved budget. Three members of the Grossmont College music faculty will collaborate in a pair of concerts presented by the Grossmont Symphony Orchestra and Master Chorale at 8 p.m., Saturday evening, Sept. 14, at Grossmont College Recital Hall (Building 26, Room 220) and at 2 p.m., Sunday, Sept. 15, at All Saints Episcopal Church of San Diego, at the corner of 6th and Pennsylvania Avenues. The faculty members are violinist Alyze Dreiling, lyric coloratura soprano Audra Nagby, and classical guitarist Robert Wetzel. They will perform a variety of selections ranging from English lute songs to virtuoso works by Paganini to Spanish canciones. Tickets for the Saturday evening performance at Grossmont College are $10 general admission and $5 student admission. At All Saints Episcopal Church on Sunday, a free will offering will be encouraged. With a vow to never forget the sacrifices made and the lives lost in the Sept. 11, 2001 terrorist attacks, Cuyamaca College on Wednesday held a ceremony and display of 2,977 small flags on the campus’ Grand Lawn, each representing a victim of the fateful day when two planes hit the Twin Towers in New York City, and when two other commandeered planes crashed – one into the Pentagon and another into a field in Shanksville, Pa.
On a postcard-perfect summer morning with the San Miguel Fire Station’s massive 70-foot flag as a backdrop, the campus community and the public gathered to commemorate an event that even after a dozen years had spectators wiping away tears and speakers’ voices choking with emotion. A few miles away, a similar ceremony took place at Grossmont College, where the morning began with the recitation of victims’ names interspersed with moments of silence corresponding with each horrifying incident that would forever leave an indelible mark on that historic day. 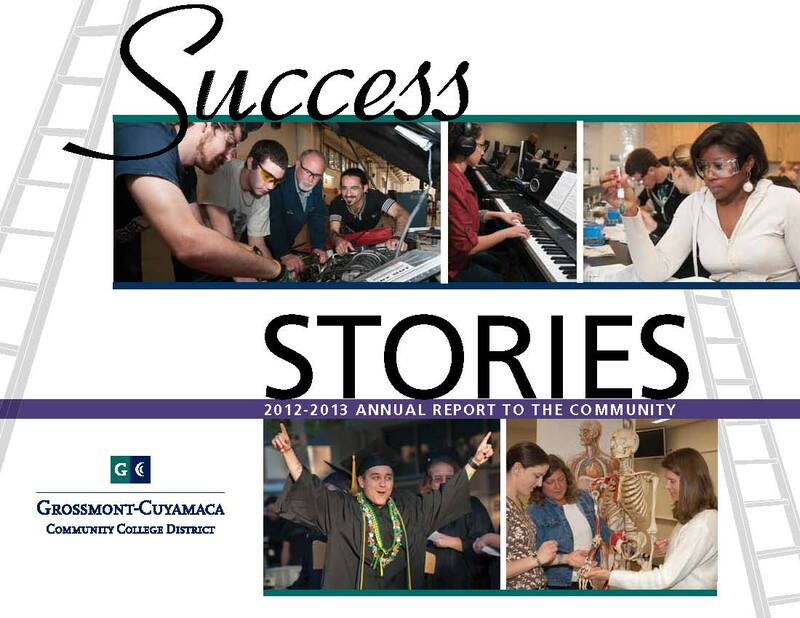 Success Stories, the 2012-2013 annual report for the Grossmont-Cuyamaca Community College District, is now available. The report highlights the district's commitment to student success throughout the year, and highlights some of the students, employees and alumni who exemplify success. For a printed copy of the report, contact Anne Krueger at the district's Advancement and Communications office at (619) 644-7842. The motto of Grossmont College, "changing lives through education," was dramatically illustrated Saturday, Sept. 7, at a Scholarship Award Breakfast at which more than $45,000 was distributed to 75 students in awards ranging from $150 to $2,000. Some students won multiple scholarships. As smiling student after student walked to the front of the Griffin Gate meeting hall to accept an award, those in the audience who knew the hardships that some of them had endured could not help but feel a wave of gratitude. Now, in large measure because someone had believed in them, the recipients are on their way to successful lives. Selam Gebrekristos, the Scholarship Officer at Grossmont College, is herself no stranger to adversity, having fled with her parents and siblings from their home in Eritrea to a refugee camp in the Sudan, where she lived for several years before coming to live in the United States. "I've complained about things in my life and they were nothing compared to some of the things that these students went through at very young ages," she said. Hear a dramatic reading of Edgar Allan Poe's works by Grossmont College president Sunny Cooke and Cuyamaca College President Mark Zacovic and other college leaders. The pair of events will be held at 7:30 p.m. Friday, Sept. 6 and Saturday, Sept. 7 in Building 26, Room 220 at Grossmont College. Tickets are $20 for general admission and $10 for students, with proceeds supporting the programs of Grossmont College's theatre arts department. Other readers of Poe's classic works include Agustin Albarran, Grossmont's dean of English and social/behaviorial sciences; Grossmont College student Derek San Filippo; Grossmont alums Aaron Duggan and Adam Weiner; Joel Castellaw, Grossmont communication professor; Jeanette Thomas, Grossmont theatre instructor; Kurt Brauer, interim grounds and maintenance supervisor; and Manny Lopez, Grossmont theatre design production technician.